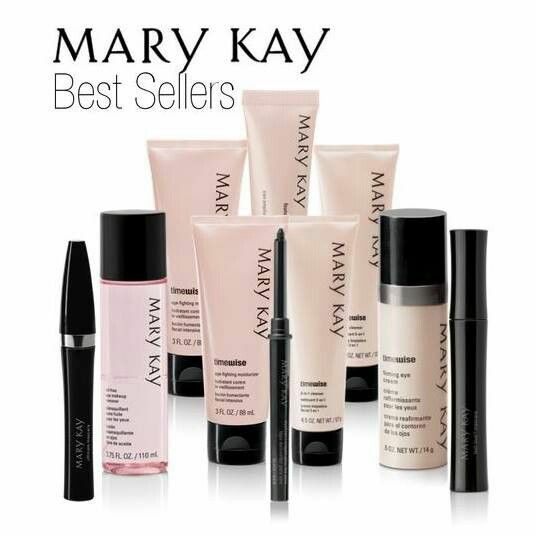 One of the big selling points for Mary Kay (and really for any multi-level marketing company) is the PRODUCTS. The person trying to recruit you shows you how you buy a product for $1, sell it for $2, and you’ve instantly doubled your money. You’d have to be an idiot to not be able to turn a profit, right? Surely those meanies at Pink Truth who say 99% of people who participate in MLM actually lose money must be lying! It’s a great way to lure people in. It sounds so easy! And if you’re someone who happens to like Mary Kay products, you think it’ll be simple to sell them. Maybe you’ll only sell a little, but you’ll still turn a profit. This is part of the grand deception behind MLM. They HAVE to have a product for you to sell, or the pyramid scheme that they’re promoting will be obvious. With a product in place, it’s now no longer so clear whether or not it’s a pyramid scheme. The truth is that MLMs are nothing more than endless chain recruiting schemes, and the products are intended to make them LOOK legitimate. How do you know that Mary Kay or any other MLM is really a recruiting scheme? What do they talk about the second you sign up? After they talk you into buying inventory, the talk turns to recruiting people. They might not be so obvious about it, suggesting that you bring “a guest” or “a face model.” But subtle or not, the focus turns to getting new people into the scheme. Yes, there is still talk about the product because it is the bait that helps bring people in and it’s necessary to be able to claim you’re not a pyramid scheme. But women in Mary Kay (and those in other MLMs) find out quickly that there is a very thin market for retail sales. Yes, some products are sold. Yes, there is a tiny fraction of women who sell large amounts of products. But a large, consistent volume of products is NOT sold to third party consumers. (Lots is sold to consultants, and most of that product never ends up with a third party customer.) Why is it so hard to actually retail these products? There is too much competition selling the product to make profitable retail sales. There are an unlimited number of sales representatives with no territories. Distributors are encouraged to recruit more distributors, who are naturally their competitors. They enroll their friends, family, and neighbors. When they do so, they not only lose potential customers, they also create new competitors. There isn’t a big enough margin in order to turn a profit. Distributors find that they can’t sell products at “suggested retail” pricing, and must discount, often heavily. Then factor in the cost of supplies, free samples, advertising, shipping, and all the other costs related to selling the products, and any hope of a reasonable profit vanishes. MLMs promote and reward recruiting far more heavily than selling. New recruits are pushed toward recruiting and away from retailing, even before the new recruits realize how impossible it is to turn a profit retailing. The only way to be profitable (with a minuscule number of exceptions) is to get to the upper levels of the hierarchy, and recruiting is the only way to move up the hierarchy. 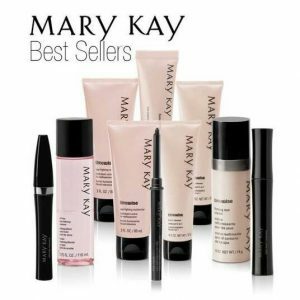 Do some women make money retailing Mary Kay products? Of course. But not at a level sufficient to support themselves and their families. They are making pocket change. And when you compare what is made retailing to the time devoted to the venture, you find that these women are making less than minimum wage. It’s an “opportunity” that carries great risks (inventory costs and other costs that the consultant bears), almost guarantees that the consultant will lose money, and provides a very low level of profit for the very few who may be lucky enough to find a way to not lose money. It’s notable that Mary Kay made up her dream business and recruiting plan FIRST, worked out with her sixth husband George Hallenbeck, and only then did she start looking for a product that could fit into the plan. Sooo … skin care, makeup and wigs, both becoming VERY popular at the time, looked good. Only 26 units nationwide added 20 or more new Consultants. The Top 100 units for retail production started at about $19,000 wholesale. The Top 100 Director checks started at $6,327. So, if we look at the Unit Retail, we see that solid, base performing Cadillac Directors are in the Top 100 for May. We then see that the Top 100 commission checks start at the equivalent of $72,000/year. Anyone not on that list is making less than that, which is a far cry from “executive income”. I personally grinned when I saw that my Senior is nowhere in either list. This is the same woman who scolded me and argued with me as I resigned, saying she made more money than I’d be making as I resumed my career. Hello, Senior! You’re not even making $72,000/year gross. And I am!!! There isn’t a big enough margin in order to turn a profit. FYI, the markup on most makeup is 3 times wholesale. Walmart can discount Revlon lipstick by 50% to clear out a slow moving color and still break even. And many makeup departments are not owned or run by the business they are in … the independent pharmacy can lease floor space to a company that specializes in cosmetics merchandizing. In MLMs, and in MK in particular, there is really NO markup for the consultant, and therefore, no chance for a profit. Customer know they can get whatever they want for the price paid by the consultant. The market is oversaturated with products, so it’s impossible to sell at “suggested retail.” Most products, if they sell at all, are priced at “50% off” which is the consultant’s “wholesale” price. Just check eBay or CraigsList. Any Director won’t hesitate to tell a departing consultant to hold a “going out of business” sale instead of returning her products. She saves herself a commission chargeback, but it’s at the cost of teaching the customers that products can be had cheaply. Those “saved” commission chargebacks set up all future consultants for failure. “Buy for $1 and sell for $2” only works when there are customers willing to pay $2. It only works when you protect the market by making sure most products are NOT sold for less than “suggested retail.” It only works when there is a limited supply of products on the market, so the customer is willing to pay the higher price when the products are found available for sale. Sadly, none of these conditions are true for Mary Kay, and every other MLM that overloads its distributors with products. Yep, it’s in their training and “MK opportunity” videos. They don’t even hide it. The NSDs, SDs and IBCs proudly announce: “Mary Kay came up with the marketing plan first, and THEN the product!” That’s a big, red flag. “Buy for $1 and sell for $2” may sound great, but 100% is not a normal profit mark-up, which should tell anyone with connected brain cells something stinks in Denmark. I just heard a SD tell her unit that she knows they are not selling the new Vit C squares because “I get a report” and it shows they are not ordering it. “And if you’re not ordering it, you’re not selling it.” Her advice is to order and then staple a square to a business card and hand them out. So, basically giving away what you just paid for. Sales Development is actually posting the top units and areas for squares purchases. All they’re recognizing is what’s ordered, not what is actually moving off Consultants’ and Directors’ shelves. Social media continues to blast what’s really happening in MK these days. They’re giving away what those of us who were in MK know to be true. Their posts are quite revealing! I wish someone rich would become a MK consultant and buy whatever was needed to make Cadalliac level and have MK tell them no so she could sue them and expose them!! Great idea, but completely impossible to do without recruiting. Everything hinges on it. Weren’t some Cadillac directors terminated because they were caught buying big inventories and selling them on eBay and to exporters? They were actually Top Trip Directors. And there were products being shipped to Nigeria and sold there, too.